In a synoptic review of 2001: A Space Odyssey (1968), Laurence Phelan writes that the film 'is the closest that cinema has come to embodying a Platonic Ideal' (2015, p. 29). Ideas from antiquity are the foundation for all forms of discourse. The film, for instance, already alludes to Homer in the title. However, it is particularly interesting to gauge how cinema – the archetypal modern art form – can embody these ideas directly. This article will examine four Platonic theories and will try to ascertain how these theories are represented in the film. These theories include the theory of forms, pre-natal learning, the allegory of the cave and transcendence. But what exactly does Phelan mean by cinema 'embodying a Platonic Ideal'? Most concepts are ambiguous, laden with multiple meanings and interpretations. To start with, I will do my best to offer some sort of interpretation for what 'Platonic Ideal' might mean. Most commonly 'ideal' means that there is something better than what we already have. In most philosophy, especially most post-Enlightenment philosophy, idealism is the belief that that reality is generated by thought and appearance rather than matter. The mind is the foundation for our understanding of reality (Guyer 2015). However, both of those meanings are rather different from Plato's conception. The latter meaning suggests that reality is mind-dependent. As David Gallop's definition will soon demonstrate, Plato's 'theory of forms' is fixed and unchangeable. It is there, regardless of your subjective perception. Your sense-perception is dictated by his theory of forms (Gallop 1993, p. xii). Concepts such as beauty, justice, peace etc. are constant and they underlie every-day reality. Plato's theory is closer to the former meaning, since there is an ideal world superior to the one we find ourselves in during our waking lives. Plato's theory of forms is characterised by David Gallop as a 'leitmotif' (p. x). It is something that crops in Plato's dialogues; it is not something that has been systematically developed. (It always struck me whenever I have tried reading Plato's dialogues that developing the theory would be extremely laborious and would consist of very, very lengthy tomes.) The theory, as it appears in Plato's dialogues, outlines the following. There are 'forms' which underlie our material reality, with these forms residing in a space that could be called 'heaven' (p. xi). (Plato had an enormous influence on Christianity.) They constitute universal abstract concepts. Some examples cited by Gallop include: 'The Just Society, the Perfect Circle, the Ideal Bed [and] Absolute Beauty' (p. xi). Such concepts are fixed, being absolute and true. When we see objects in our waking reality, they are imperfect representations of these 'real' forms. For instance, if we see a bed, this would be an imperfect manifestation of beauty. We grasp these forms through the senses and not the intellect (xi). We ultimately come to understand these 'perfect' entities from 'particulars' – hence the example of the bed – and, in Gallop's words, through 'fallible opinion' (p. xiii). It is also clear that one comes closer to apprehending the forms this way rather than a systematic study of knowledge. For instance, you would come closer to understanding beauty through looking at a bed instead of actually studying aesthetics. Our immortal souls join the world of real forms once we end our existence in time. This is one of the many ways in which Plato prefigures Christianity. Hence, there must be an objective standard that determines their existence. Otherwise, all perception would be subjective. This is why this notion of 'ideal' is diametrically opposed to the 'post-Enlightenment' conception of 'idealism.' Gallop writes: 'There is a single abstract entity for every class of object' (p. xiii). Another Platonic theory that is found in Phaedo involves 'pre-natal learning.' This theory presupposes that we already exist, spiritually, before birth. Prior to birth, we have full knowledge. Gallop writes: '[Pre-natal learning involves] the regaining of knowledge which the soul possessed in a pre-natal, disembodied state [.]' (p. xviii). Recollection is at work every time we apprehend an object through the senses. Every time we learn a new concept, we are are comparing it with something that has been pre-natally known to us (p. xix). Gallop cites an example from Meno. In this dialogue, Socrates manages to coax the correct answer out of a student unacquainted with geometry (p. xix). Socrates asks the student a series of probing questions until he reaches the correct answer. Socrates reaches this conclusion because pre-natal recollection depends on the notion that 'the mind has inherent reasoning powers rather than […] sense-experience' (p. xix). He says in Phaedo: 'Learning is recollection. […] It was […] asserted that our soul existed even before it entered the body.' (1993, p. 67) Socrates argues that we have the capacity to think, reason and argue logically. These capacities appear to be innate, but they are also developed and nurtured as we grow older. Socrates argues that the same applies to knowledge, which is latent within us and recollected when we encounter external stimuli. Now that these three concepts have been introduced, this article will examine how these three concepts are represented in scenes. When examining 'the theory of forms,' it will examine specific motifs. There are several motifs in the film that appear to be charged with symbolic significance. They could be easily be interpreted as being an attempt to symbolise Platonic forms. For instance, the monolith represents extraterrestrial life (which in the film could be equivalent to 'God'). 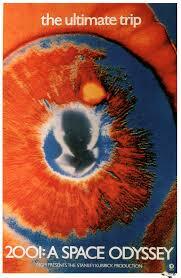 The fetus in the closing scenes in the film could be interpreted as being a Platonic form for creation. Finally, it will examine how a bone, used as weapon, could be seen as being a Platonic form signifying survival. Each of these motifs are significant for the following reasons. Extraterrestrial life in the film could roughly be seen as being 'God-like.' Throughout the film, it underlies existence and it is not visible. It also guides humanity and tries to help it reach its fullest potential. This is similar to the monotheistic Christian God, which is also an arbiter of truth, morality, etc. We encounter the monolith in the initial stages of the film. The monolith lies astride the primates, who shriek in horror once they see it. It is accompanied by modernist classical music by Gyorgy Ligeti. This music is 'micropolyphonic.' It is comprised of several voices which operate at a micro level and coalesce to form a tone cluster. The net result of the music, and the monolith, is that it creates a sense of mystery and grandeur. This is especially the case seeing that the monolith is poised at the forefront of a sublime landscape. All of these aspects have theological undercurrents. Seeing that it is a monolith (meaning big and simple), it could be seen as a platonic form representing God. The extraterrestrials cannot be seen and they are clearly larger, and more all-knowing, than the humans that they influence. Later we can see a low-angle mid-shot, poised at a 75 degree angle, of the primates approaching the monolith. They are clearly intimidated by it; they cavort around it and are too intimidated to even touch it. This establishes the degree of authority and omniscience that the monolith possesses. We later see the camera, from a 180 degree angle, next to the monolith. The camera is turned on its axis and is framed as a long-shot of the sky. The monolith, however, takes up most of the frame. Dusk is setting in. This, alongside the ominous Ligeti soundtrack, creates a crepuscular ambience. There is a sense that the monolith is a higher being, since it seems to control the outcome of causality and it has a higher degree of knowledge. At this point it could be mistaken for being a Christian God, but as we progress through the film it becomes apparent that it is of extraterrestrial provenance. Still, the motif of the monolith functions as a clear Platonic form for celestial authority. Once the primates encounter the monolith, they begin to apprehend the law of forms through their senses and begin to build a society. In the scenes that we encounter this, we see a mid-shot of a spaceship in a room adorned with Renaissance sculptures and paintings. The rest of the mise-en-scene is comprised of futuristic sci-fi fare. Across the floors and walls, there are light beams encased by glass. This disjunction creates the sense that the location is unreal, or that it is a projection of the mind. However, if we were to follow Plato's ideas, we would be led to believe that the astronaut has penetrated the objective domain of an idea (in this case, the objective domain of creation). Following the setting of the scene, we see a close-up shot of the astronaut. He seems to be in a state of paralysis. Following this, we see him at other end of the room, where he has aged considerably. In this case, he is next to a Renaissance painting. This has some pertinence to this article, as the Renaissance tried to reinstall ideas from antiquity. The Renaissance is often seen as a flowering of human knowledge and endeavour. This could be a symbol of human knowledge and the desire that the aliens have to help humans transcend their own limited knowledge. Finally we see the astronaut on his death bed. The monolith appears and, as he enters it, the camera dollies into it. The astronaut reaches a full state of knowledge and regresses (or progresses) into a fetus. The music in this scene once more consists of Richard Strauss' Thus Spake Zarathustra. The piece, of course, is named after Friedrich Nietzsche's seminal book, which includes the theory about the 'Superman.' 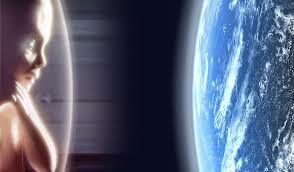 In the earlier stages of the film, the music appears when humans reach a quantum leap. In this particular moment, humans become 'superhuman' once the astronaut manages to completely transcend all human limitations. This article will also argue that the bone in the early stages of the film is a Platonic form for supremacy and survival. Prior to encountering the monolith, and prior to the extraterrestrial intervention, humans have not conquered the animal kingdom. They are often prey to jaguars that roam the desert. Thanks to the guidance of the monolith, they start to develop weapons and learn to hunt. Due to this technological advantage, they manage to assert their supremacy over other species. However, the film reveals that this technological advantage is far from benign. We see that humans start to fight and kill each other. Once we reach the future – 2001! - we see that technology is fallible. Already at this early stage of human evolution, the species appears to be tribal and sectarian. Primates form distinct groups. Without technological weapons, humans don't even have the wherewithal to even hurt other herbivores. They are prey to other animals. We see a long-shot of a horizon and we see a human being attacked by a jaguar. The surrounding humans in the periphery helplessly shriek and do nothing to protect him. This lack of technology results in relative peace. Yet, despite this, it is clear that humans have an inherently violent nature. The tribes do fight each other rather viciously. As the fight scene of the two sects demonstrates, they still do not manage to substantially hurt one another. When technological weapons do arise, we see a lot more damage being inflicted on other humans. There is the suggestion that this will lead to genocides and that these genocides will be more brutal once advances in technology increase. The fight scenes demonstrate that humans are so tribal that cultural and religious alliances have already arisen. It is clear that this is one particular demographic fighting another demographic. This is despite the fact that language, technology and economic structures have not arisen to thereby solidify these divisions. be seen as being a Platonic ideal for human hegemony and survival. We soon see a a mid-shot of a group of humans eating. We soon establish that there is a greater sense of security and harmony. Anyone with only a modicum of knowledge about Plato will makes parallels between 2001 and the allegory of the cave. We see humans in caves, for one thing. We see them being ignorant and, following this fallow period, swiftly see them encountering an essential truth. Prior to encountering the monolith, these sub-developed humans are herbivores, prey to other dangerous animals and have no knowledge or language. According to Plato's allegory, humans live in a cave because there are not aware of grander epistemological questions. In the case of this film, these cavemen do not even have the reasoning and cognitive capabilities to even begin to decipher such questions. However, according to the theory of forms, one apprehends them through the senses rather than the intellect. There is a sudden epiphanic revelation when one of the cavemen realises that a bone does mean survival and supremacy. The monolith helps the cavemen apprehend the law of forms when they see common objects. This article has already explored the treatment of transcendence in the film. It will now recap in what ways it treats transcendence. By transcendence, I mean the exceeding of normal limits, including physical, spatial and temporal limits. There are clear parallels between Christianity and Platonism. For one thing, Plato thought that the body was the 'prison of the soul' and that it was an impediment to reaching the divine sphere of the Gods (Dillon 2003, p. 80). In Plato, there is a clear need to exceed human limitations. There are two types of transcendence that I believe are explored in the film – animal transcendence and cosmic transcendence. Once the humans have been aided by the monolith, they have asserted their supremacy over the rest of the animal kingdom. In the early stages of the film, it becomes apparent that humans transcend other animals once they develop technological weapons. In the final stages of the film, the astronaut transcends his animal nature to become an 'idea.' He transcends his animal nature to join the Platonic world of forms. He escapes the confines of his body and becomes the 'idea' of creation. This is hence also cosmic, since this character manages to reach a higher plane of consciousness. This realm of consciousness lies well beyond one experienced in material reality. This is why 2001 was marketed as the 'ultimate trip' when psychedelic drugs were fashionable (Kaplan 2007). Cohen, Marc S. (2006) The Allegory of the Cave. [Online] Washington Edu. Available from:https://faculty.washington.edu/smcohen/320/cave.htmPhelan, Laurence. (2015) Television. I. 16 December, p. 29. Dillon, John M. (2000). Rejecting the Body, Refining the Body: Some Remarks on the Development of Platonic Asceticism. p. 80-88. Phelan, Laurence. (2015) Television. I. 16 December, p. 29. Plato. (1993) Phaedo. Translated by David Gallop. Oxford: Oxford University Press. -------------------- Gallop, David. (1993) Introduction to Phaedo by Plato. Oxford: Oxford University Press.